I'm a postdoc who studies religion, ritual, cognition, and evolution. Americans Waste Resources on Lawns. Why? It's Ritual! If you're reading this, you're probably WEIRD. That is, you probably live in a society that's Western, Educated, Industrialized, Rich, and Democratic. People from WEIRD cultures think and perceive the world very differently from everyone else. WEIRD people are more analytical and more individualistic. They think less holistically and more abstractly, de-emphasizing social relations. Within societies, liberals and highly educated people are even WEIRDer than conservatives and the less educated - a gap that contributes to ideological misunderstandings. Why? Because WEIRD people don't understand social context, and social context is everything. There might be no clearer - or more frustrating - example than the way we talk about the one thing we all share: the environment. Last week, my University of Wisconsin alumni magazine showed up in my mailbox. Tucked in among the normal profiles of professors and inspiring athletes is modest one-page interview with Dr. Paul Robbins, the director of the Nelson Institute for Environmental Studies at UW-Madison. Robbins is, to put it bluntly, a sworn enemy of American lawns. Americans ritually coat their property with fertilizer, chemicals, and thousands of gallons of water in order to achieve a picture-perfect lawn. Robbins thinks this is a tragedy. From an environmental standpoint, he's right: we pour enormous amounts of resources and energy into our lawns, and in return we get little but fertilizer-contaminated groundwater and a fragile suburban monoculture. So what's stopping us from just pulling up the nation's lawns and replacing them with something less wasteful? Well, habit, for one. But more importantly, lawns perform a social signaling function. A well-kept lawn is a great example of what animal behavioralists call a "costly signal." It takes energy, time, commitment, and resources to keep a lawn looking healthy (as any exasperated homeowner can confirm). An immaculate front lawn can fall into disrepair with only a few days' worth of neglect. That means that a lawn's condition is an exquisitely sensitive signal of a homeowner's level of investment. For neighbors, a disheveled or weed-choked lawn is a warning indicator that the owner of that house might be a weak link in the neighborhood fabric - someone who might be a drag on the community. Your average American homeowner might not know much about signaling theory, but she does know what a run-down lawn next door means: it means that her neighbor isn't a cooperator. This simple, high-accuracy means of telling cooperators from free riders is a vital tool for any community where people share a common resource, from an artists' collective to an army unit - or a suburban cul-de-sac. It's an old idea that well-cultivated, tidy landscapes make for tidy citizens, but it lives on. People would tell me when we're interview them, "You know what's going on inside a house by what you see outside the house." The rhetoric he uses - the stymied March of Progress - is straight out of the WEIRD playbook. But he's wrong here. If you were to run a correlation analysis on data gathered from 1,000 suburban American homes, I'm willing to bet that you'd find a good-sized relationship between (1) homes with decrepit front lawns and (2) homeowners with lower-than-average levels of general community contribution. The folks who lead community meetings and organize block parties are often the same people who put the most effort into the appearance of their properties. In other words, a good-looking lawn really is a reliable index of other forms of cooperative investment. This means that there's a rational motivation to keep up the lawn ritual after all. But the WEIRD mentality has serious trouble recognizing this fact. Why? Because WEIRD people are so individualistic and think so abstractly that they're often handicapped when it comes to understanding nonverbal social cues. In fact, this could be the determining feature of WEIRDness: an atrophied ability to understand social subtext or ritual. But WEIRD people are right when it comes to the environment and ecology. Humans really are messing up the planet. And lawns really are wasteful. However, because many scientific researchers miss out on the social dimensions of things, they often have no idea how to offer steps for practical advancements. Instead, they spout advice like, "don't worry so much about the weeds and dandelions. Relax your aesthetic and appreciate the diversity." With all respect to Dr. Robbins, this is just tone-deaf. Relaxing your aesthetic and letting your yard fill up with weeds will just make your neighbors decide that you're a lazy bum. Instead, pay attention to the ritual of things. There are social factors playing a key role in our collective lawn addiction. Ignore or refuse to acknowledge them, and all the research and findings in the world will get us nowhere. So how could we wean ourselves off our addiction to lawns? Well, for starters, by not ignoring or denying what actual homeowners say about why they invest in their lawns. Second, acknowledge that if lawns go, something else will need to replace them that could play a similar role. Let's ask ourselves: what new social convention could stably signal investment in the community without requiring massive amounts of water and chemicals? Third, entire communities would have to agree to give up lawns at once. This is a basic game-theory problem. Everyone feels heavy social pressure to maintain their lawns. So the only way for any single homeowner to relax her lawn care routine without suffering social consequences would be a community-wide agreement to switch to a new setup all at the same time. The case of lawns and ecology is a perfect example of communication problems that stem from pervasive differences in cognitive styles between educated, abstract reasoners and everyday people. Academic researchers tend to be highly WEIRD, which leaves them crippled in their ability to understand social signals and rituals. 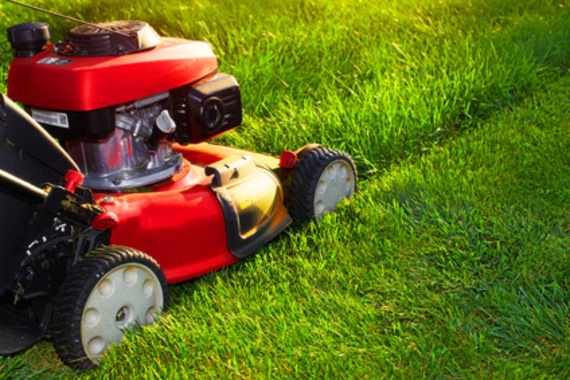 Rituals like obsessive lawn care aren't good or bad - they're just how the vast bulk of human communication happens. Ignore this, and you'll never convince anyone to give up a dysfunctional ritual for something better.